Your memory often changes as you grow older. But memory loss that disrupts daily life is not a typical part of aging. 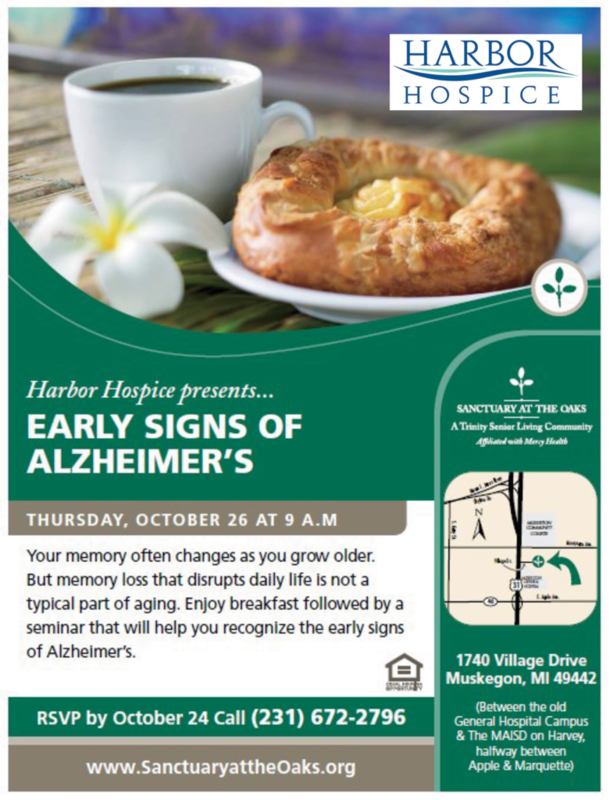 Enjoy breakfast followed by a seminar that will help you recognize the early signs of Alzheimer’s.